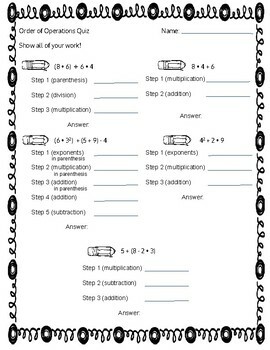 This is a quick 5 question quiz that uses parenthesis and exponents in order of operations expressions. 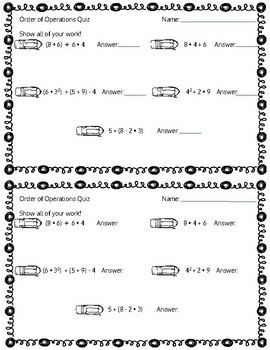 I have also included a scaffolded version for students who may need some extra support, or younger students just learning about Order of Operations. 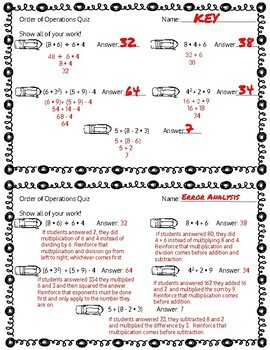 Error Analysis and key included. 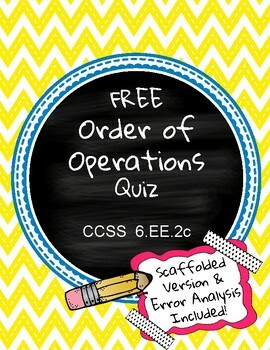 Don't forget to check out this great bingo game for order of operations!